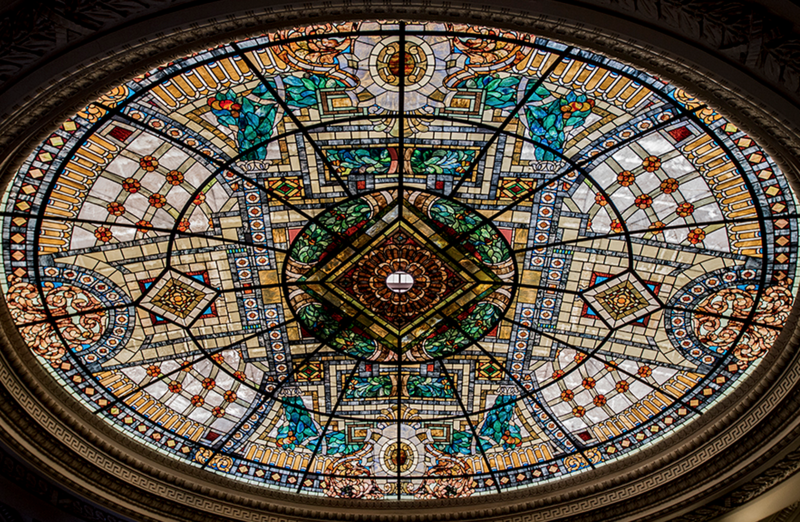 A white elephant in Indiana’s capital city may see new life after decades of decay—with a little help from modern art. When it opened in 1909, Indianapolis‘ old city hall building inspired the mayor, Charles A. Bookwalter, to remark: “I believe that in all the years to come no citizen, man, woman, or child, will pass this corner and read that motto without feeling responsibility for good citizenship in this city of ours.” By 1962 city and county government had outgrown the neoclassical building, designed by architects Rubush & Hunter, and it has served as temporary exhibition space ever since. 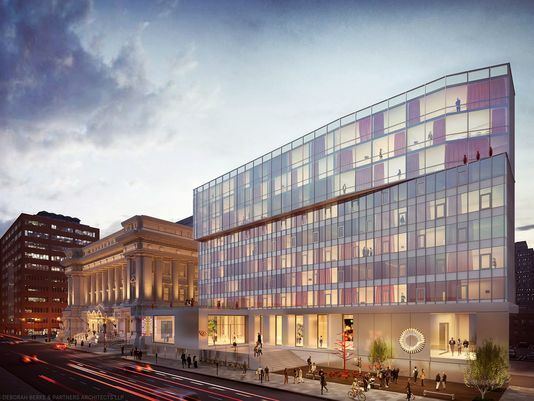 Now the Louisville-based developers 21c Museum Hotels plans to redevelop Old City Hall along with an adjacent lot, pumping $55 million into a mixed-use development centered on a new museum of contemporary art. According to the project announcement, the property will feature “a boutique hotel with approximately 150 rooms, guest suites with private terraces on the rooftop, art-filled meeting and event spaces and a unique chef-driven food and beverage concept showcasing local and regional farmers and producers.” City Hall itself appears destined for an art museum that will feature rotating exhibitions and remain open to the public, free of charge. “Arts-related tenants” will occupy the second, third and fourth floors of Old City Hall. 21c has signed on frequent collaborator, New York City–based Deborah Berke Partners to design the project. Berke is also signed on to design a new building for Cummins in Indianapolis, proposing a glassy, bending form and extensively landscaped public spaces for the fuel systems manufacturer. A bit less than half of the project financing will be loans from the federal government and local officials, as well as historic tax credits, if the developers get their way. If that happens, city officials will be fulfilling a promise to redevelop the municipal building, which was added to the National Register of Historic Places in 1974 and factors into Indianapolis’ City 2020 masterplan. “When I became the director I felt a certain pull to do something,” said Adam Thies, Indy’s director of metropolitan development. “Letting it sit vacant was akin to letting it slip away from the memory of civic consciousness,” Thies made the remarks in a video about the project for The Bicentennial Plan for Indianapolis.